Kenn Colt and Feels Like Home Records are presenting the single Better Days. The new release of Wolken the Shu Ha Ri EP on the Wolken Records label. The new release of Josh Lasden Ft. Mátyás Blanckaert the Love At Breakfast – Dennis Cartier Remix EP on the El Futuro Recordings label. The Dacusan Music label presents the release of Ermessound and Rosario M. the Chill On The Moon EP. Reloaded Music presents the release of Ashley Smith, Micro Manic. The Uno Mas Digital Recordings label presents the release of Cristopher Ross & Patty Bee the Revelation (single). Criss Cross Collective viert, 3 Years Criss Cross. Het populaire West-Vlaamse concept, Criss Cross Collective, kondigt het grote evenement, 3 Years Criss Cross Collective, aan. Een evenement dat zal doorgaan in de Akademy waarbij op 2 dagen verschillende artiesten present zullen zijn. Op vrijdag 8 maart concentreren ze zich op urban en hip hop, of de Criss Cross avond, met als artiesten: Full Crate, Fresh And Clean, Barbé, El Gallito. De editie op zaterdag 9 maart is Stereo en biedt house muziek met Djebali, Sifa, Dimitri Andreas en Gerald. De tickets voor 1 avond kosten 10 euro en zijn momenteel nog beschikbaar via de facebook pagina. The Criss Cross Collective celebrates, 3 Years Criss Cross. The popular West-Flanders based concept, Criss Cross Collective, announces the large event, 3 Years Criss Cross Collective. An event that will take place at the Akademy offering 2 days presenting different artists. They will be concentrating on urban and hip hop, or the Criss Cross night, with artists: Full Crate, Fresh And Clean, Barbé and El Gallito On Friday the 8thMarch. On Saturday the 9thMarch they offer a house music night, or the Stereo event, with artists such as Djebali, Sifa, Dimitri Andreas and Gerald. A ticket for 1 night costs 10 euro which you can find on the facebook page. 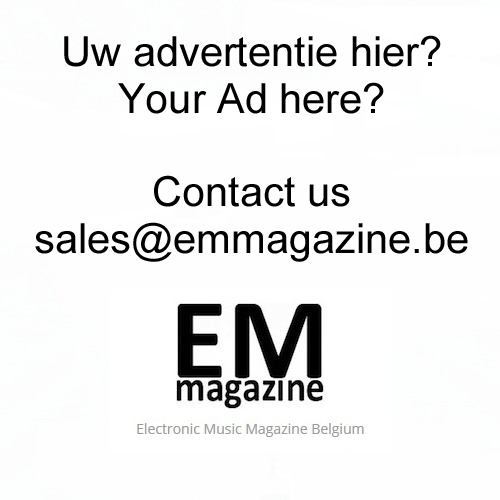 Electronic Music Magazine Belgium congratulates Criss Cross Collective with their 3 years existence.